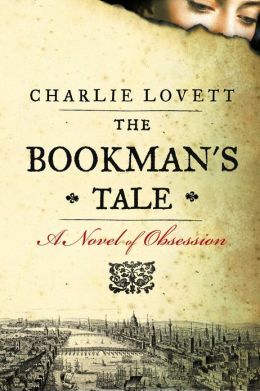 Charlie Lovett balances the controversy over the authorship of Shakespeare’s plays with romance and mystery in The Bookman’s Tale. Although the story is heavy with meticulous research that only a British lit major could appreciate, the intriguing search for proof that Shakespeare really did write his plays is balanced with a touching modern-day love story. Lovett bounces around in time, from the sixteenth to the twentieth century, and if you miss the date before each chapter, you will lose your place. Peter Byerly, a collector of antiquarian books, who is bereft over his wife’s death, is the connection between the Bard’s contemporaries and current events. When Peter finds a dated Victorian watercolor portrait of his dead wife inside an old book, he begins a search leading him to Shakespeare’s annotations for “Winter’s Tale.” If the notes are authentic, the book would be proof that Shakespeare really did write his own plays. Lovett uses flachbacks to reveal Peter’s life as an introverted student but the present-day mystery of Peter’s precious find in the English countryside involves murder and forgery. When the author flips back to Marlowe and Green in the 15oo’s, he not only offers historical information but cleverly ends chapters with a cliff-hanging alternative to history that reappears in Peter’s twentieth century pursuit – but the action is slow-moving and laden with heavy details. Written by a collector of rare books and a former antiquarian book seller, the story has comprehensive explanations of book restoration and the process for verifying providence and authenticity. My friendly librarian, knowing my affinity for the Bard, suggested this book, and I enjoyed the slow pace and historical details, balanced by the romance of true love, but I admit to impatiently skimming through some of the descriptions to get to the solved mystery. This entry was posted in authors, book review, books, historical fiction, history, mysteries, reading, romance and tagged Amanda, antiquarian books, Bookman, Charlie Lovett, Lovett, Peter, Shakespeare, Shakespeare controversy, The Bookman's Tale, William Shakespeare, Winter's Tale. Bookmark the permalink.